Heritage Tray® markets itself as an elegant, economical and flexible roofing profile. Heritage Tray® requires no additional plywood substrate thus reducing costs. Additionally, it can be roll formed on site, an attractive logistical option for larger construction projects. Sheet lengths: Heritage Tray is custom run to order. 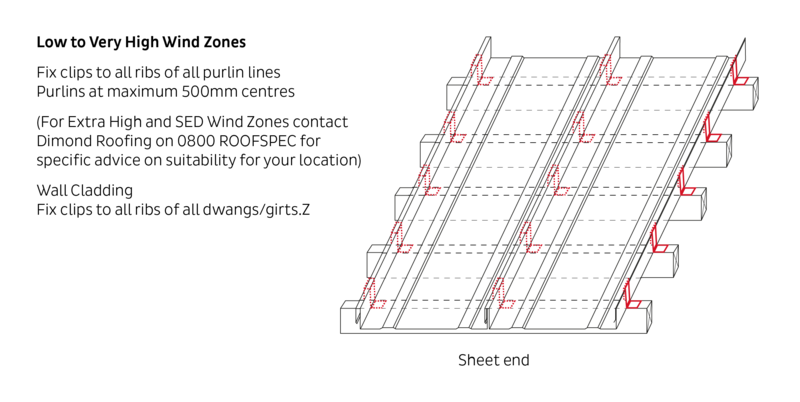 Category 1 maximum spans are based on static point load testing as a guide, and further limited by practical experience of roof performance under dynamic foot traffic loads. Category 3 maximum spans are limited as a guide to achieving satisfactory appearance for wall cladding. Loads given are based on 4 screw fasteners/sheet/purlin. Loads given are based on 1 clip per purlin, and alternative (second) purlin clipping, i.e. hit 1, miss 1. Clips are required to be fitted to all end and valley purlins, under any situation. Loads given are limited to a maximum of 4.7kPa. If design requirements exceed this limit, Contact Dimond Roofing for specific advice.N/R = not recommended. End span capacities given in this table are based on the end span being the same as the internal span. No pull through of fixings or fasteners withdrawal resulting in sheet detachment due to wind up-lift (outward) loads. The span capacity of Heritage Tray is determined from the Heritage Tray Limit State Load/Capacity Chart using the section of the chart appropriate to grade and type of material, and to the category of serviceability selected from the two categories below. It is recommended that to obtain a dependable design strength capacity for the ultimate limit state, a reduction factor of Ø = 0.8 is applied. The capacities given do not apply for cyclone wind conditions. While these categories are given for design guidance to meet the serviceability limit state criteria, foot traffic point load damage may still occur if there is careless placement of these point loads. Expected regular foot traffic to access the roof for maintenance work and able to walk anywhere on the roof. No congregation of foot traffic expected. Low wind zone = 0.68kPa, Medium wind zone = 0.93kPa, High wind zone = 1.32kPa, Very high wind zone = 1.72kPa and Extra high wind zone = 2.09kPa. Fasteners that are used to secure Heritage Tray clip down as a roof cladding must penetrate into the purlin a minimum of 30mm for timber and 6mm for steel purlins. For wall cladding the clip fasteners must be long enough to pass through the substrate, cavity batten and into the main frame by 30mm for timber and 6mm for steel. Clip fasteners must be fixed closer together on the periphery edges of all roofs in areas of High to Extra High Wind Zones. 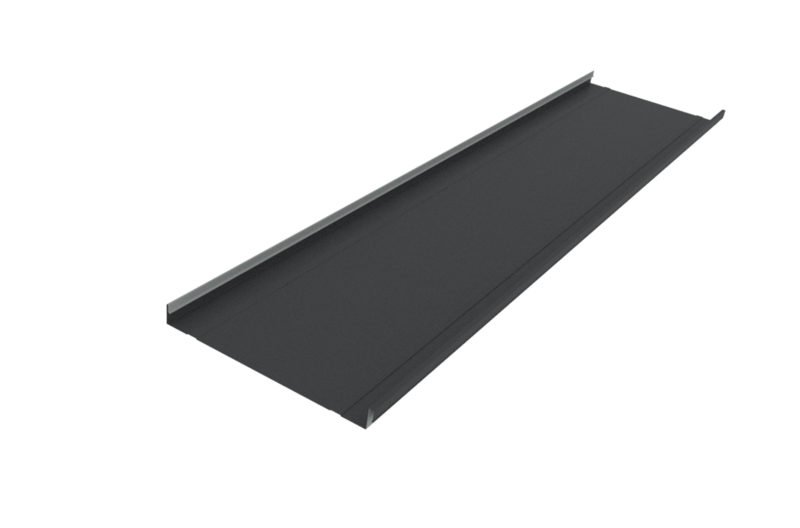 Minimum pitch for Eurotray® Double Standing Seam is 5 degrees. Need a brochure for one of our roofing profiles? Here you can download one for each of our profiles with the basic information and details you need during the decision process.